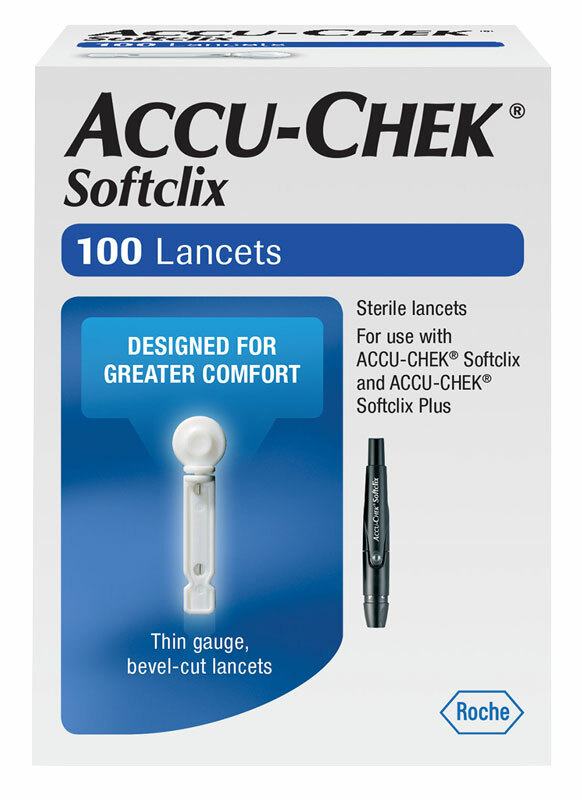 The Accu-Chek Softclix lancing device uses 28-gauge lancets to ensure smoother entry. Accu-Chek Softclix Lancets are uniquely designed for greater comfort and thus ensure virtually pain free testing. 28 Gauge needle minimizes discomfort .